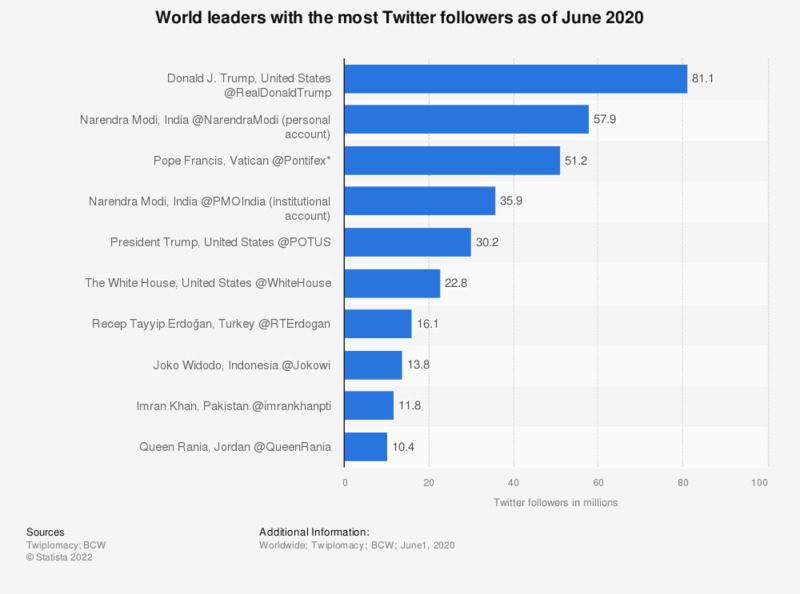 This statistic gives information on the most influential and active world leaders on social media as of May 2018, ranked by Twitter followers. U.S. President Donald Trump was ranked first, having aggregated over 52 million Twitter followers on his personal account. The official @POTUS account was ranked fifth with 23.15 million followers worldwide.